“Nobody understands.” I’ve heard that said by people in grief about the loss of a loved one, after a frightening experience, like abuse, military service, victim of a crime, and of course about being diagnosed with and dealing with cancer. Research has found that patients with more social support tend to feel less anxious and depressed and report a better quality of life. People with cancer find it encouraging to have others who listen and help with the practical aspects of dealing with cancer. This blog is about the value of support groups and the benefits of talking and telling all about your ovarian (or any) cancer experience. These groups can supply much needed information/education or they can be therapeutic, fostering hope and/or acceptance or they can be a combination of both. I spoke to a professional support group facilitator, a cancer survivor who was both facilitator and participant of a (ley-led) group and a participant who has been in support groups both as a newly diagnosed and currently as a recurrent cancer patient. Here is what they had to say. Alycia Hughes is the Senior Patient Affairs Specialist at MD Anderson (MDA). As such, she facilitates a monthly support group, at MD Anderson. Her group is primarily educational. She brings in outside speakers, mostly medical professionals who work with cancer patients to present useful and necessary information to patients. Alycia touts the merits of support groups specific to your specific disease. She says treatments and psychosocial issues for ovarian cancer are different from those of other gynecologic cancers. She says, when seeking a support group, some things to look for are a group that meets regularly, at a convenient time and setting. She points out that there are support groups that include spouses and caregivers and you should determine if you want a group for patients only. Barbara Garvin is 10+ years ovarian cancer survivor who, after hearing all the experts at the MDA support group, started her own group, in her home, to provide and more intimate, more therapeutic support group. That group has since dissipated and she is back at a group at MDA. Janet Little is on e of our Faces of Ovarian Cancer spotlight cancer survivors. She was also one of the founders of the Teal Tales support group, that was a support group for ovarian cancer patients, survivors, spouses and caregivers. She is currently a participant in the “Life in Between” group, for all cancer patients (breast, ovarian, pancreatic, etc), that meets at the wonderful Canopy center in the Woodlands. She says, when she was newly diagnosed, knowing the stories and experiences of those with recurrences gave her so much hope. Cancer treatments can be so isolating and anxiety provoking. Having someone who has walked that path before you and understands exactly what you are feeling and fearing is priceless. If you are afflicted with ovarian cancer, you are not alone. So, don’t try to go it alone. 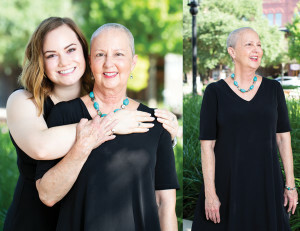 To find a support group that is right for you, speak to your oncologist or a social worker at your hospital or treatment center or, talk to other patients receiving treatments around you or check out these websites: https://www.mdanderson.org/patients-family/diagnosis-treatment/patient-support/support-groups.html or https://www.cancer.org/treatment/support-programs-and-services.html. Or post on this blog.